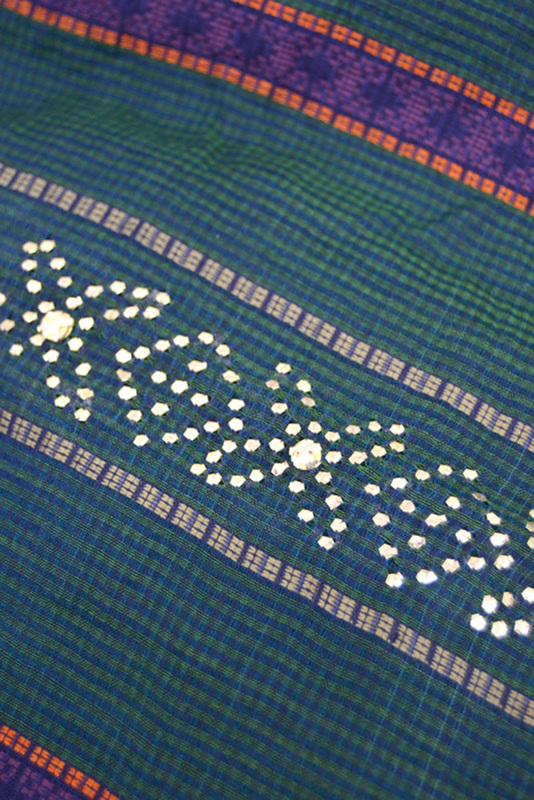 Details of ‘Fardi ka kaam’ on a Maheshwari saree. 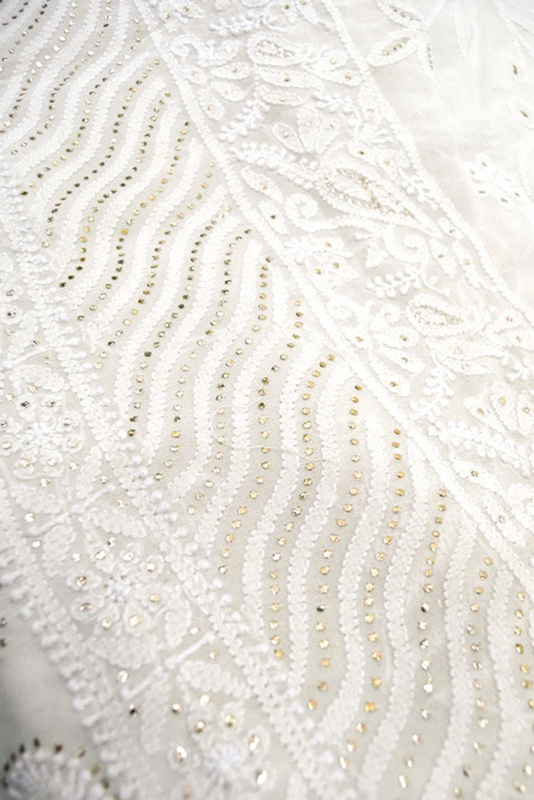 Details of ‘Fardi ka kaam’ on a white georgette lehenga. 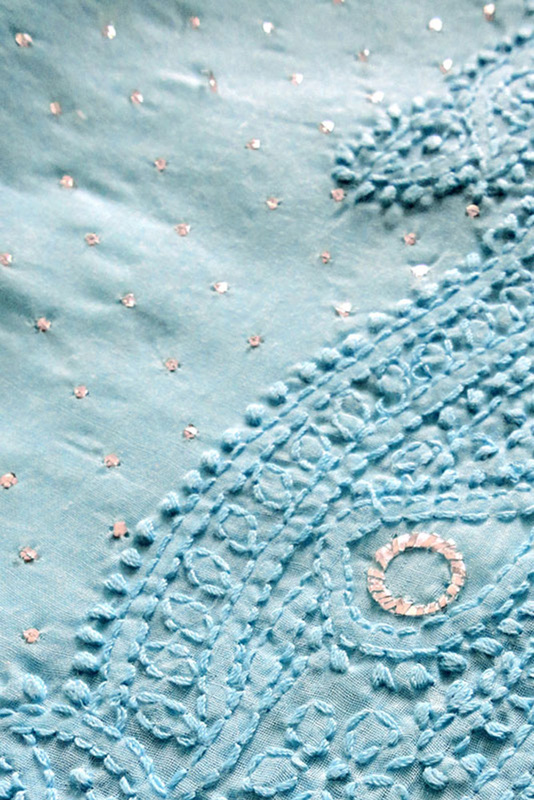 A kurta piece with Fardi adornment. 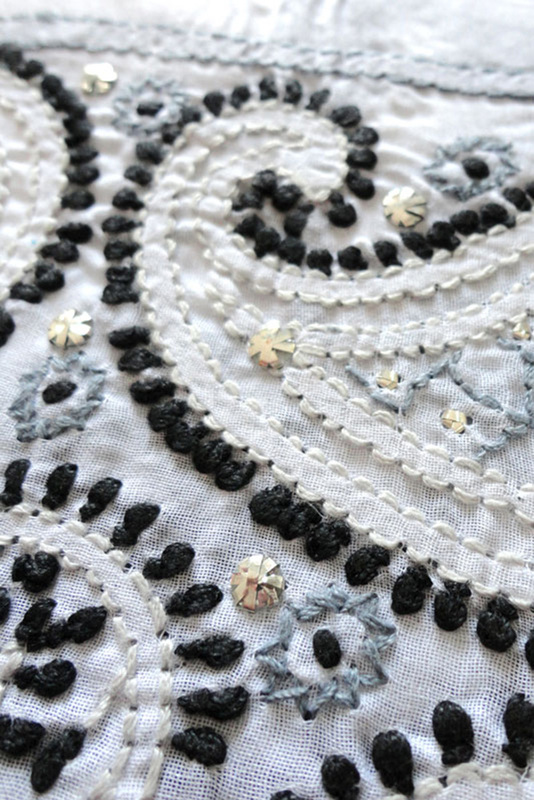 Details of ‘Fardi ka kaam’ on a white georgette saree. 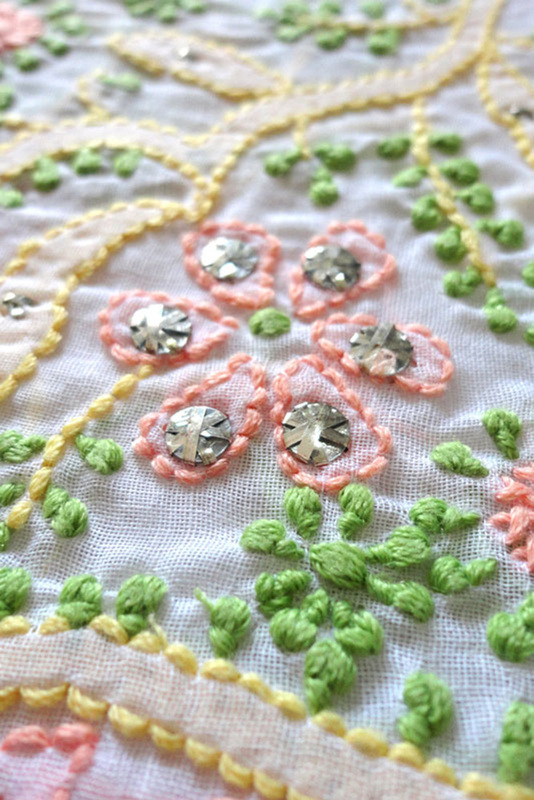 Details of ‘Fardi ka kaam’ on a colored georgette saree. Sample of Kamdani or ‘fancy kaam’. The city of Lucknow blends royalty, culture and many religions into each other unlike anywhere else. 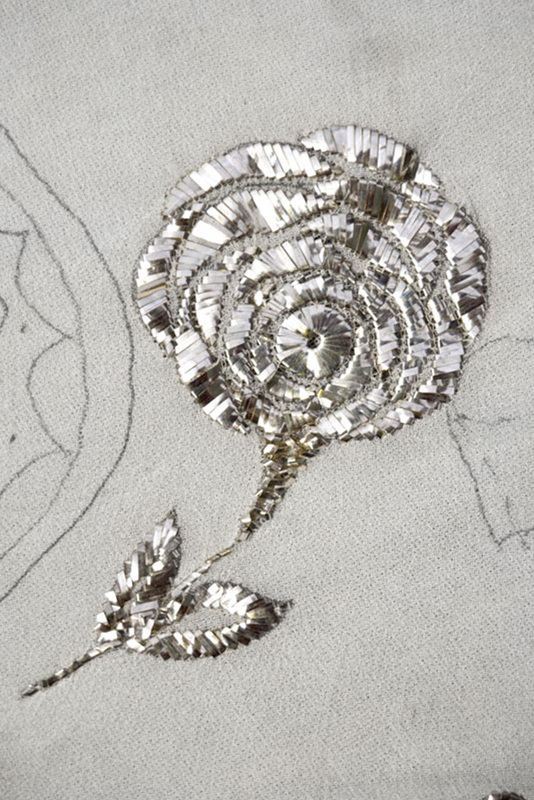 Mukaish, an almost dying craft of Lucknow, is age-old embroidery where thin strips of metallic wire are inserted into the fabric and then twisted to create metallic embroidery. 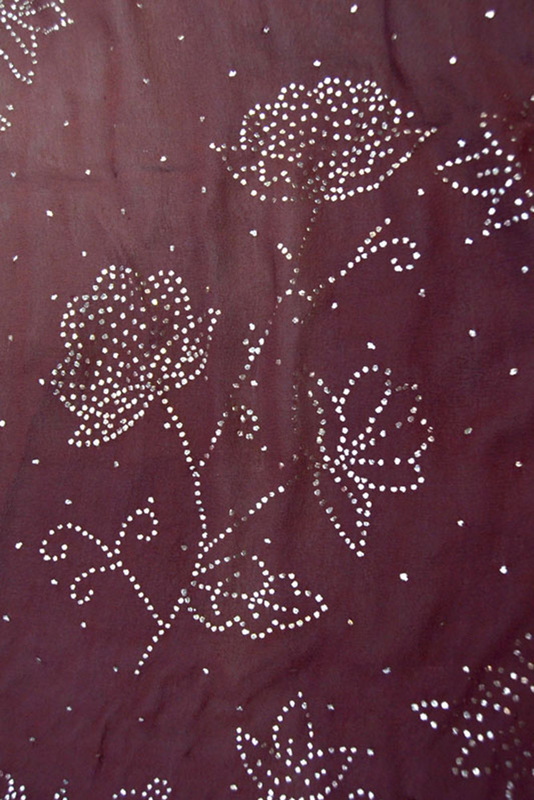 Very few karigars make exclusive Mukaish sarees as it is mostly done to highlight or adorn heavy Chikankari work. 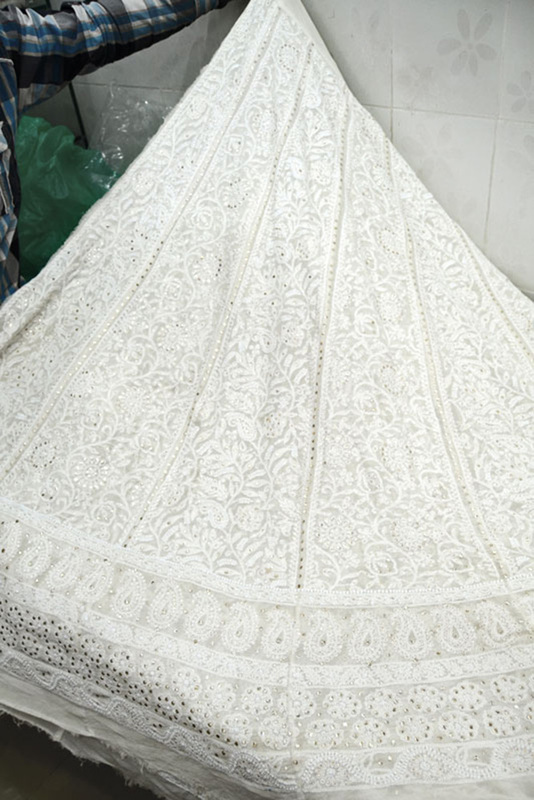 Over time, Chikankari travelled far and wide but Mukaish remained in Lucknow’s narrow lanes. 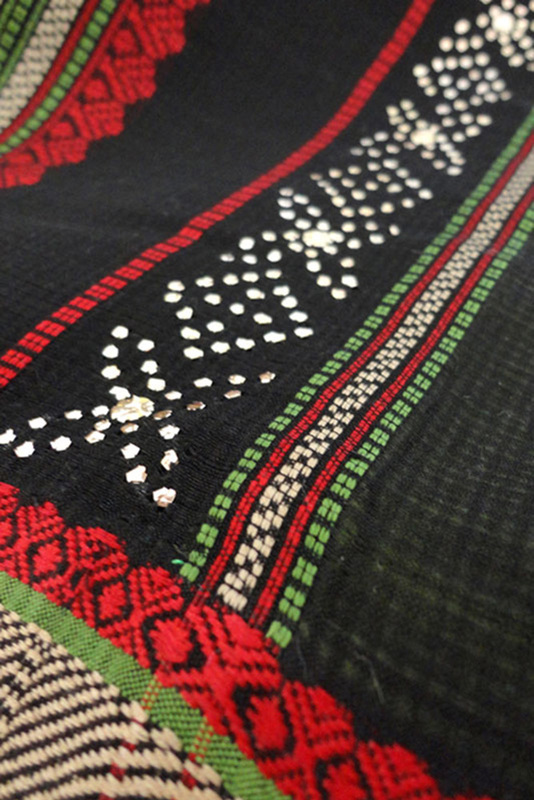 The karigars of this craft, also known as Badla in Gujarat and Maharashtra, are a dying breed. 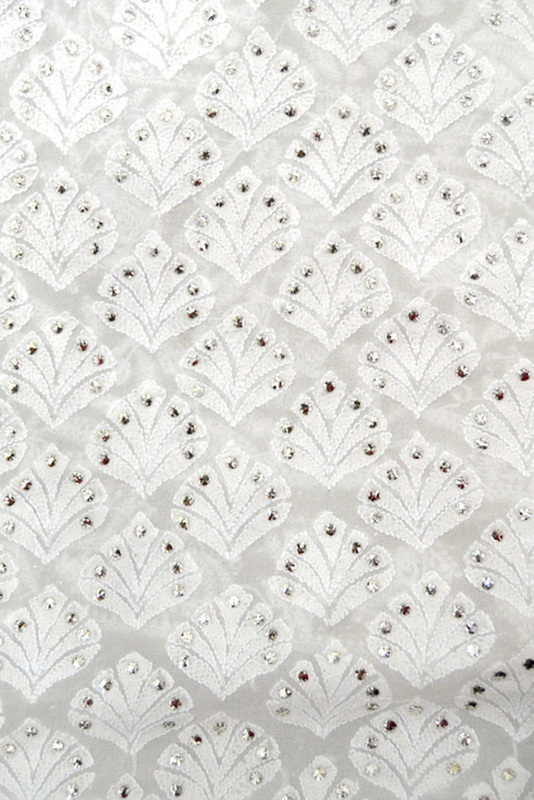 The craftsmanship of Lucknow karigars is unparalleled. Usually heavy chikan-and-mukaish-work georgette sarees and lehengas are available in white and can be dyed in the color of one’s choice. 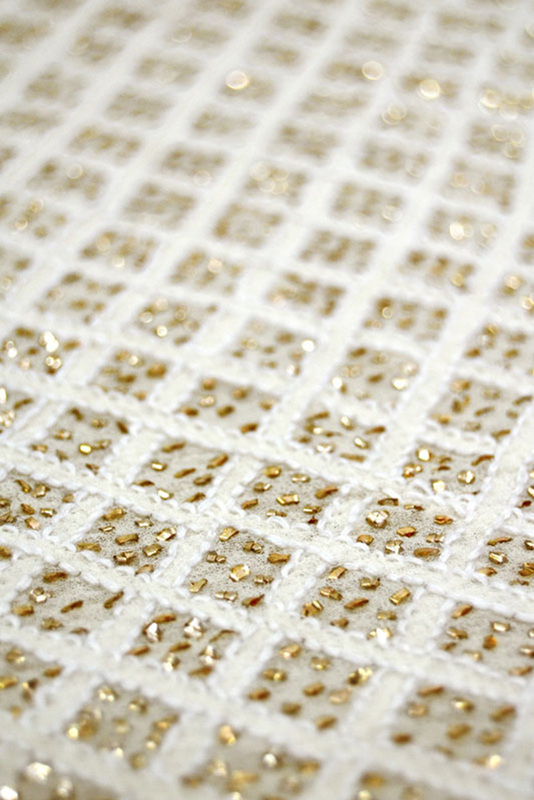 Some designers are also experimenting with different textile weaves and combining it with Mukaish work, sans Chikankari. 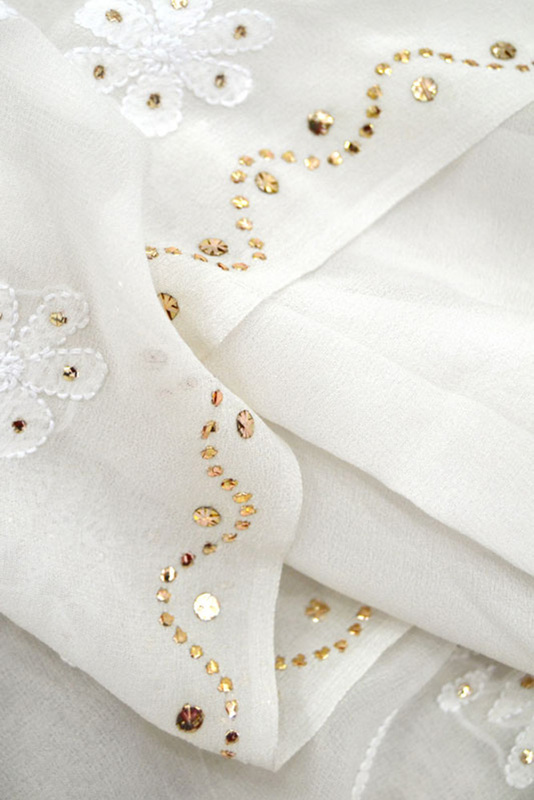 Kurtis and dupattas are embroidered with multi-color threads as well.